These little icing flakes are our favorite new covering for any Boho Chic Cake! They've got just enough of a sheen to be glam, and come in the most fabulous array of colors. 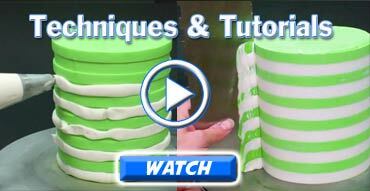 We've been using them on everythng from wedding cakes to Baby Shower tiers.